Product prices and availability are accurate as of 2019-02-22 23:04:01 EST and are subject to change. Any price and availability information displayed on http://www.amazon.com/ at the time of purchase will apply to the purchase of this product. The West brass 1/2 in. IPS x 3/8 in OD x 12 in. length brass toilet supply kit makes it easy to outfit your toilet. 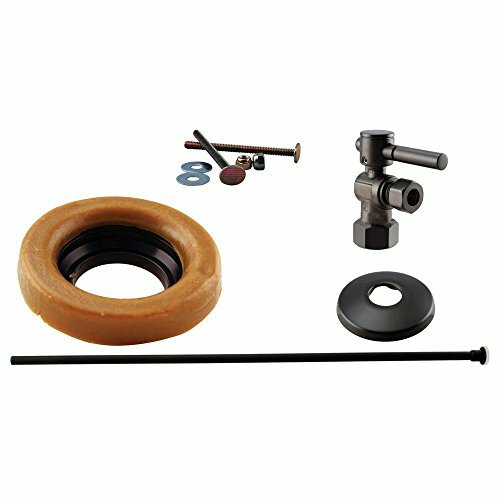 The kit includes everything required to stylishly supply water to your toilet, including an attractive lever handle angle stop, flat head supply line, flange and wax ring. Available in a variety of decorative finishes, this is sure to turn a functional but ugly installation into a complementary work of art.